Amid rumors of possible split between UTJ's two vactions, Dep. Health Minister Yaakov Litzman says haredi party will remain intact. 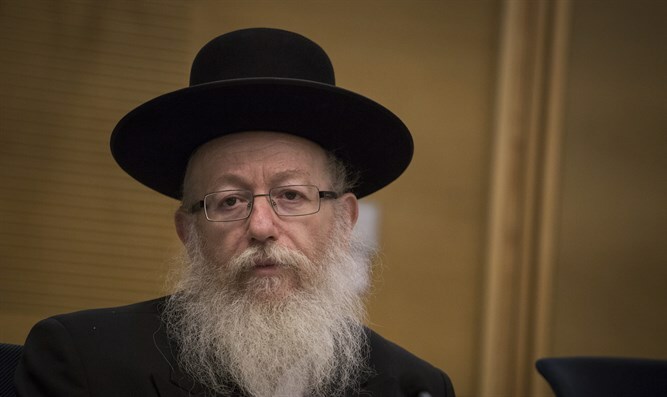 On Sunday evening, Deputy Health Minister Yaakov Litzman said that the two haredi parties, Agudath Israel and Degel Hatorah will likely run together as part of the United Torah Judaism (UTJ) list. “In the coming election, we will be dealing with Degel Hatorah. Before we do sit down with Degel to hash out the details, however [Agudath Israel] must decide meet to plan out its future,” Litzman said. Previously, Agudath Israel and Degel Hatorah parties sparred over the the division of the UTJ's Knesset seats and how the joint list should approach the haredi draft law currently under consideration. The feuding between the two factions has fueled speculation they may split, possibly forming alliances with competing haredi parties including Bnei Torah and Shas. Litzman also pushed back against rumors that he supports a move to lower the minimum electoral threshold, making it easier for smaller parties to run independently. “I never agreed to lower the percentage and all the reports on the matter is a lie. I’m declaring that I oppose it,” Litzman said.